This wine is the “second label” of Chateau Pontet-Canet. 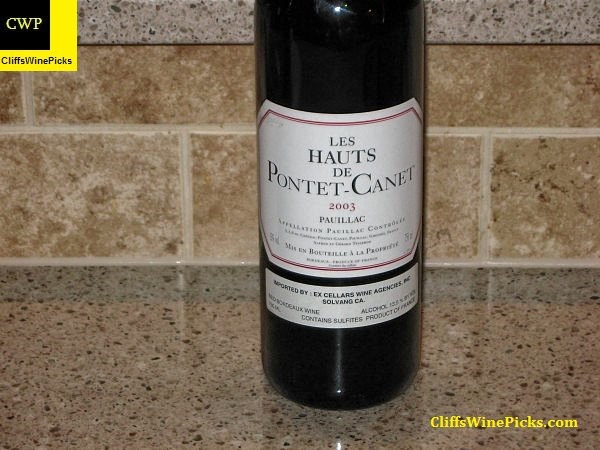 After attending a tasting and being blown away by the 2003 Pontet-Canet and buying several bottles, I decided to grab several bottles of the Les Hauts de Pontet-Canet. With the outstanding quality of the main wine, the second label had to be very good and at a MUCH lower price. Well, that wasn’t a given, but thankfully I was right. 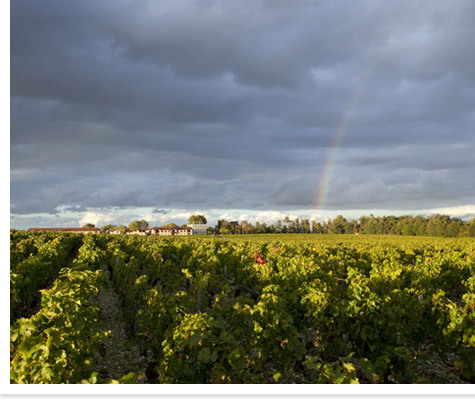 Is the Pontet-Canet better? Yes, but this wine costs 1/3 the price. Pontet-Canet’s terroir features rises of Garonne gravel on limestone bedrock. The soil is lean, warm, and well-drained. In order to make the most of this terrroir, Alfred Tesseron instituted a plot-by-plot vineyard management system. Careful observation year after year has led to an intimate familiarity with practically every vine. The château’s winegrowing philosophy is to intervene as little as possible and as naturally as possible in the vineyard. Only traditional viticultural and cultivation practices are used. Chemical weed killers are banned in keeping with environmental protection, and priority is given to the vine’s long-term health. This vintage of the wine is a blend of 64% Cabernet Sauvignon, 34% Merlot and 2% Cabernet Franc. In good vintages, I highly recommend the second labels of the top châteaux. These wines are usually considerably less expensive but are better than the first wines of the lower level estates. Great pick. Loved the couple that I had. Plus, it’s good to see Bordeaux getting its due. In spite of the Bordelais hype machine and prices, they do make great wine. And, second labels provide a reasonably priced entree into their products. Despite not being able to always access some of the wines, I appreciate your reviews. Thanks for the kind words. There are a lot of very nice Bordeaux wines out there and occasionally, like in this case, they are (were?) available at very reasonable prices.